In 2011, Netscape co-founder Marc Andreessen proclaimed in an essay published by The Wall Street Journal that “Software is eating the world.” He optimistically predicted that software innovation would disrupt more and more industries over the next decade. Fast forward to 2019, and Andreessen’s prediction has held true as nearly every industry has been disrupted by software in one way or another. As more and more software companies move toward cloud-based solutions, SaaS (Software as a Service) has grown to become the world’s most popular software delivery model, with Gartner estimating that SaaS revenue will grow 17.8% and reach $85.1 billion in 2019. Accessing a software application online is more convenient than purchasing and installing traditional software. As a result, customer preferences have now moved towards cloud-based solutions. SaaS businesses are also better able to keep pace with the rapid changes in technology due to the cloud-based deployment model. This allows companies like HubSpot, Salesforce, Slack, and MailChimp to thrive and achieve massive growth. SaaS and subscription-based businesses are driven by recurring revenue from repeat customers. It costs five times more for a company to attract a new customer than it does to retain an existing one. This means it’s critical for subscription businesses to create positive experiences for their existing customers and ensure loyalty. Ongoing communication and good customer support are two key elements of keeping your customers happy. When it comes to customer service, many SaaS companies take a reactive approach, waiting until a customer reaches out for help to offer support. Email marketing platform MailChimp, however, has found success with a proactive approach to creating a positive customer experience. From the moment a user creates an account, MailChimp sends a welcome email linking them to a tutorial. This makes the customer feel their business is valued and encourages them to get started right away. Similarly, the project management system Trello sends out automated emails to users who haven’t used the platform in a while. The email also links to a tutorial, in case truant users need some help getting back into the swing of things. Regardless of why a customer’s usage decreases, receiving a friendly note from the company can help remind users why they signed up in the first place and prevent the customer from churning out. Shopify is another company that has taken communication and customer support to the next level. Like many companies, the e-commerce giant uses social media to interact with customers and respond to any questions or concerns. Rather than simply using their primary account and monitoring comments, however, Shopify has a separate Twitter account dedicated solely to customer support. This means customers don’t have to worry about their queries getting lost in a sea of mentions, and Shopify can better provide support. Scaling your own recurring billing business can often put a strain on customer service. With a rapidly growing customer base, keeping up with communication about renewals, declined credit cards, invoices, etc., can be laborious. This can segue into poor customer experiences. One way to meet this challenge is to switch to a recurring billing platform that automates your billing and subscription management. Such a platform ensures a constant flow of communication because it enables you to set up and customize automated email notifications and also provides access to other dunning management features. This means your customers are always notified when payments are received, their credit card is about to expire, their free trial is coming to an end, or a payment was missed. Customers can also self-manage their account. Giving customers access to their billing history and allowing them to update their information and subscriptions can lead to higher customer satisfaction and fewer support inquiries. Inbound marketing platform HubSpot knows a thing or two about scaling a customer base. Founded in 2006, the company’s revenues surged to $271 million in just 10 years, making HubSpot one of the top SaaS content marketing solutions. What is their secret? Part of their success can be attributed to their sales and marketing strategies. Sam Mallikarjunan, Principal Marketing Strategist for HubSpot, once stated that around 60% of the sales cycle is already over before a sales representative enters the picture. Consumers are no longer dependent on salespeople for much of the information regarding their purchases. With a little internet research, most prospective customers can easily arm themselves with the knowledge they need before they reach the point of purchase. It is therefore in the best interest of any business to be the source of such information and help fuel the sales process. With the same goals in mind, it’s pertinent that both sales and marketing departments work in tandem and develop a successful co-dependent relationship. We have made the case to align the marketing, sales, and billing teams to create a feedback loop around revenue generation activity. When you empower your team with a robust recurring billing platform, you enable the sharing of timely information between these departments. Valuable upsell opportunities and information on prospective customers become increasingly visible and actionable. In any SaaS or subscription-based business, a steady stream of recurring revenue is critical to the health of your business. Aligning your sales and marketing efforts is one way to help your company acquire a strong, recurring customer base. Establishing this common ground simplifies the process of acquiring and converting leads. Widely regarded as a SaaS pioneer, Salesforce is no doubt one of the most successful SaaS companies. Founded in 1999, Salesforce's bread and butter has always been its easy-to-use CRM (customer relationship management) platform. But the key to their success is not necessarily the product itself, but in the company’s ability to consistently come up with innovative tools to make their customers’ lives easier. As technology evolves and the market shifts, it’s important for any SaaS company to be quick on its feet and able to grow, adapting to customers’ changing preferences and needs. Companies that use outdated and manual billing methods to manage their invoicing and subscriptions have difficulty as they start to scale. Keeping track of customer data, which is often contained in spreadsheets, gets more challenging as a user base increases. Gaining insights on customer behavior and revenue recognition becomes a monumental task. Providing accurate invoicing and collecting payments become near impossible to do error-free, causing frustration among customers. An automated billing system is able to accommodate various recurring billing needs and has advanced reporting capabilities. This flexibility and insight will allow you to analyze historical customer data and make strategic changes according to your customers’ preferences. Founded in 2012, Slack’s exponential growth is perhaps any entrepreneur’s dream. By 2017, the workplace communication platform reached a $5 billion valuation and $200 million in annual recurring revenue. They currently have around 10 million daily active users. Using a freemium model is one of the main reasons Slack was so successful at rapidly scaling its customer base. In fact, Slack’s 30% conversion rate from free to paid customers is considered to be the highest of any business. By offering a limited version of the product for free, Slack users are able to sign up without commitment and see how they feel about the service. The majority of businesses that Slack markets to will end up having more users than the platform allows under the free plan, which makes upgrading to a paid package a no-brainer. This concept is not unique to Slack, as trial periods and freemiums are the core focus of many SaaS companies’ marketing efforts. However, many of these companies fail at the freemium model because the limited version of the product does not provide enough value to motivate customers to upgrade to the full-featured version. A freemium may help you secure users, but once they are hooked, it’s critical to make sure customers clearly see the value of upgrading to the premium model to ensure customer loyalty. Using a complete subscription management platform like Fusebill gives you the flexibility to offer trial periods, seamless payment options, and plan upgrades and downgrades. The platform also provides pricing flexibility, one-time billing, usage-based billing, volume discounts, and multiple hybrid pricing variations of these pricing models. In the SaaS world, there’s no perfect recipe for a success. However, when looking for ways to grow your business, taking pointers from these leading SaaS business and incorporating some of their best practices may be a good idea. 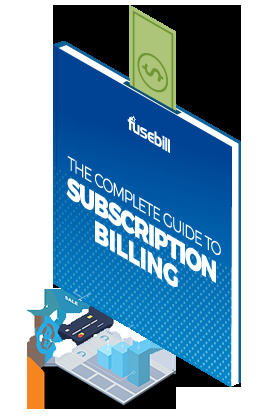 Kyle Booysen is an account manager and recurring billing expert at Fusebill. Kyle is a business graduate with majors in Management and International Business.